Thomas A. Kennedy is authorized to practice in every trial and appellate court in the state of Florida, including the Federal Court in the Southern District of Florida and The Federal Eleventh Circuit Court of Atlanta, Georgia. 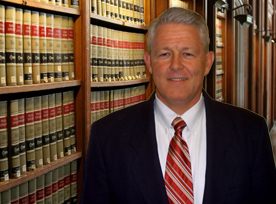 He has been practicing law since 1991; for the first nine years as a public defender. He has been admitted to practice law in the State of Florida since 2001. He is also admitted to practice law in the state of Maryland and the District of Columbia.